In order to guarantee the singing quality of ningt club, night club’s acoustic design cannot just rely on high-end sound system, but also make excellent acoustic environment for good stereo system, making good sound level. 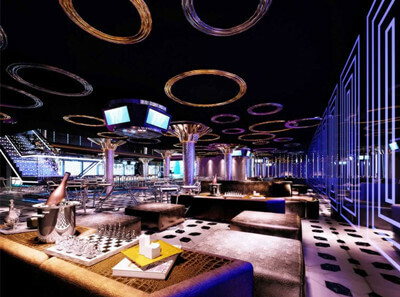 Night club acoustic design would require the architectural acoustics treatment design throughout night club decoration. The capacity of reception room and waiting hall is large, without any architectural acoustics decoration, reverberation time is long, sound muddy, which affects the conversation between customer and receptionist. 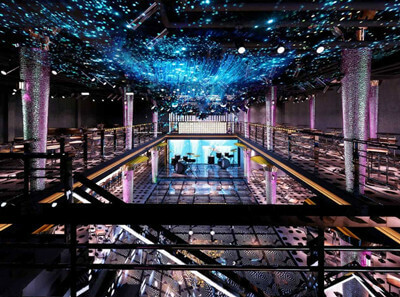 If rooms are square with small capacity, it will easy to cause acoustic coloring, vibration and resonance etc. If the room is arc-shape, concave type, it will easy to cause sound focusing. The sound insulation performance of the wall between rooms is poor, causing crosstalk phenomenon. The equipment, central air conditioning system, and the ventilation system’s noise is too big(4) If the room reverberation is long with the defect of devise, it will easy to produce the noise, which affect the singer’s listening. N j —the quantity of person and object，m²； α j — coefficient of Ni. Reverberation time T60 is when the indoor acoustic field reaching steady state, the sound stops, then the time of the sound pressure level decay by 60 dB. It is one of the most important objective evaluation for room acoustics.